Where Will The Next Metal Innovation Come From? 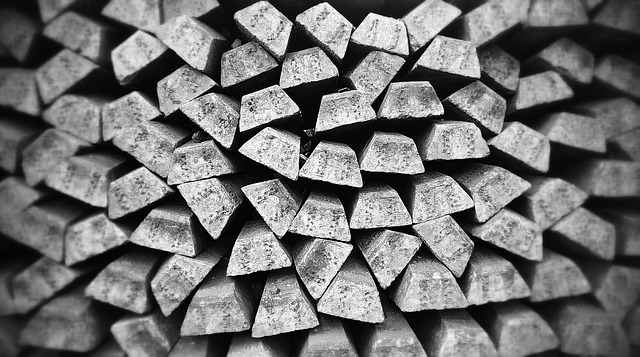 At certain key points in history, scientists and inventors have accelerated the production of metal dramatically. There will be many demands on future manufacturing, stretching both our production and environmental limits. A new advancement in material and production needs to be on the horizon, and here’s just a few metal innovations that we think could bring it forward. The headlines surrounding 3D printing haven’t been as steadfast as a few years ago, but it’s only a matter of time before synthesizing three-dimensional objects continue to transform our world. As it stands, there are two major issues with using metal in 3-D printing. One is the total cost of both the additive process of printing the metal, along with the machines and staff who know how to use them, and the cost of the materials themselves -- not to mention the lack of metal materials made specifically for 3D printing. Solving this would not only result in a greater number of powdered metals for use in 3D printing, but it would also result in much cheaper powdered metals. Judging where the additive manufacturing industry is going, it is in the interest in all major corporations to lower these costs in tandem with collapsing the manufacturing supply chain. More important than what we make or how we make it, developing new metals is a major priority for the scientific community. “Thubber”, a stretchable conductive rubber - scientists at Carnegie Mellon University developed an all new material that can stretch up to six times its own length, and has an unprecedented level of conductivity. The key ingredient was the cleverly named “thubber”; a suspension of non-toxic, liquid metal microdroplets. When the rubber is pre-stretched, the droplets form long pathways that allow for efficient heat travel. A metal that conducts electricity without conducting heat - Ever wondered why motors and appliances (like computers) get so hot when you use them too much? It’s due to the Wiedemann-Franz law, which essentially says a strong conductor of electricity will also be a good conductor of heat. Well, a team of researchers at Berkeley Lab’s Materials Sciences Division demonstrated that metallic vanadium dioxide (VO2) contradicts this law. This means we may have a way to one day convert wasted heat from engines, appliances etc. back into electricity.